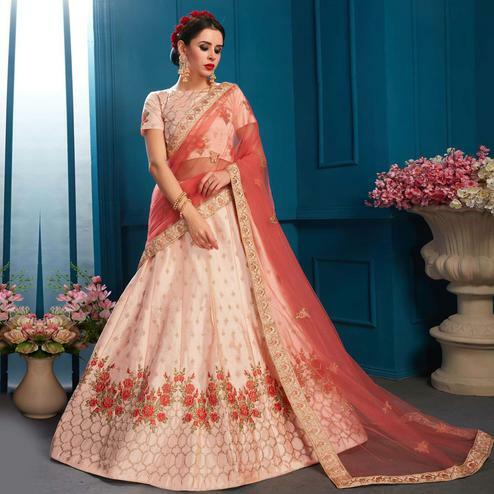 You are bound to make a strong style statement with this light orange lehenga choli. Features mulberry silk fabric with heavy embroidery & stone work over the kameez. 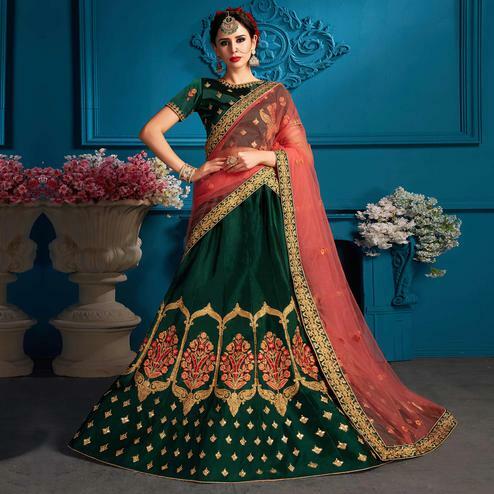 This piece comes with dyed santoon bottom with matching fabric lining & dyed chiffon dupatta with stone work. 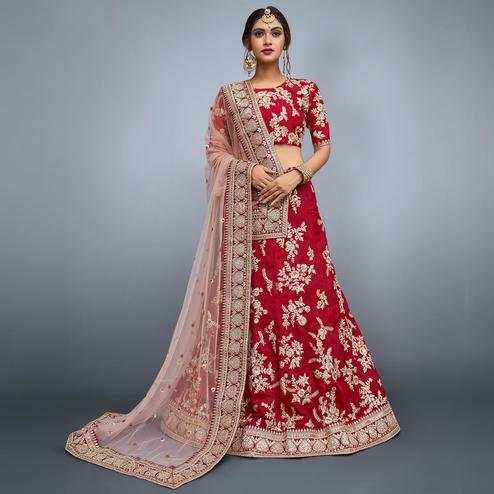 This attire is the best option for wedding and party wear. Length Waist upto 42 - 44 inches and length upto 40 - 42 inches.